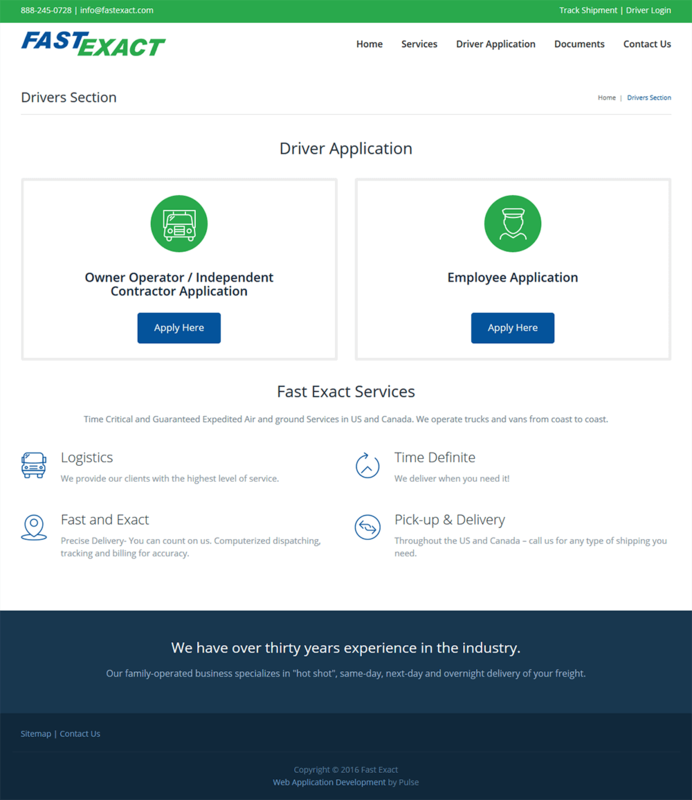 Fast Exact is a one stop solution for providing fast and effective transportation solutions with precise and dependable service to hundreds of companies of all sizes. With more than 30 years of experience in transportation and shipping requirements, Fast Exact ensure that all shipments arrive on time across the country. 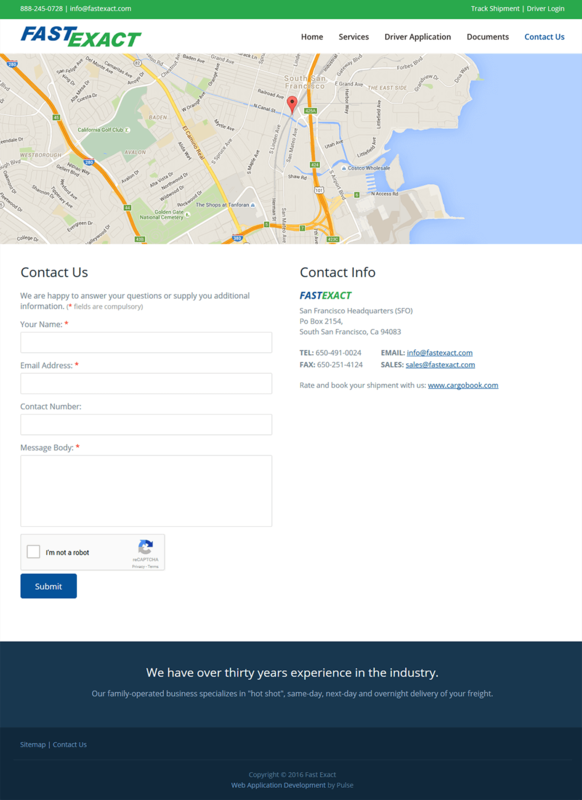 Fast Exact current website was outdated with obsolete design and primitive features. 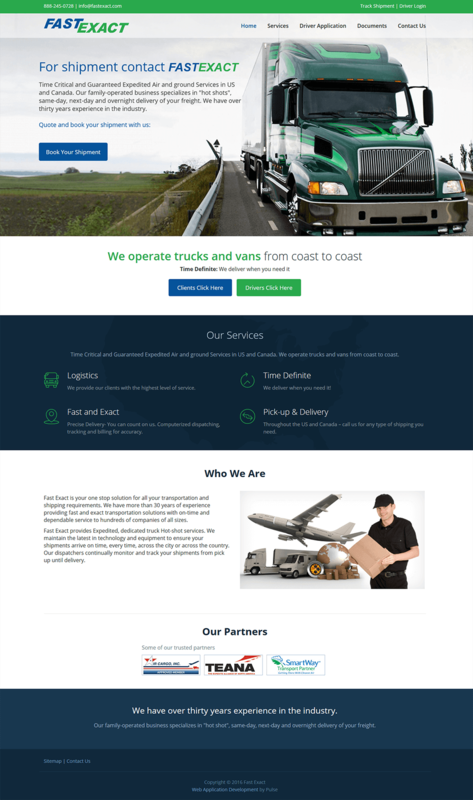 What Fast Exact wanted was a new, revamped website with a modern approach and a responsive design to be ahead of the curve and certainly ahead of their competitors. 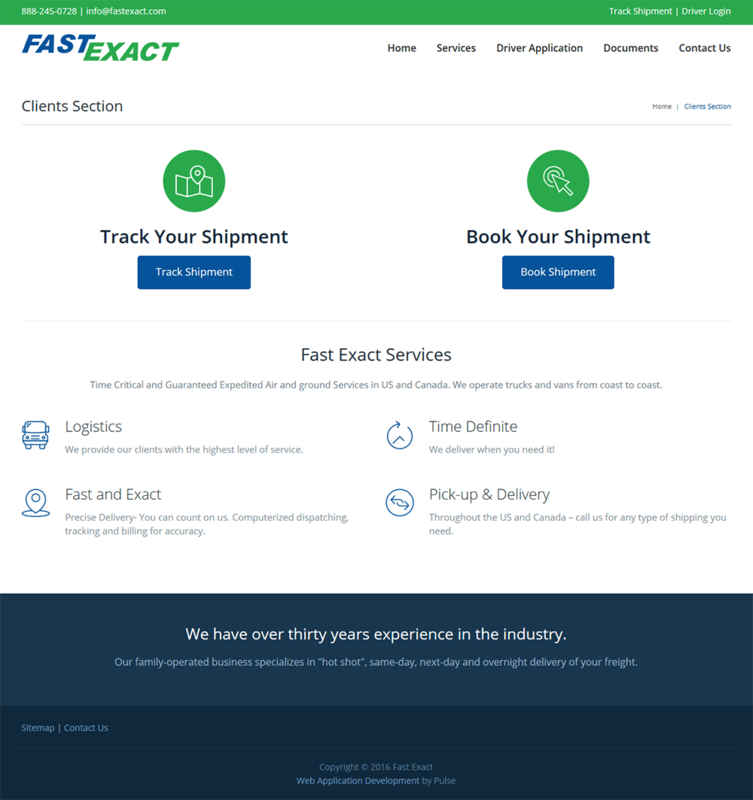 Fast Exact wanted to refresh their brand with a dynamic design and responsive layout. After brainstorming the ideas and reviewing the requirements of the client, Pulse team proposed to design a responsive website using WordPress and CMS. This helped to make the website user-friendly and attractive for customers while giving the flexibility to the client to edit it. Do you want to see an increase in your daily visitors and attract them with a slew of modern, user-friendly features? Our sites achieve that and more. Contact us, and we will work together to get your business where it needs to go.